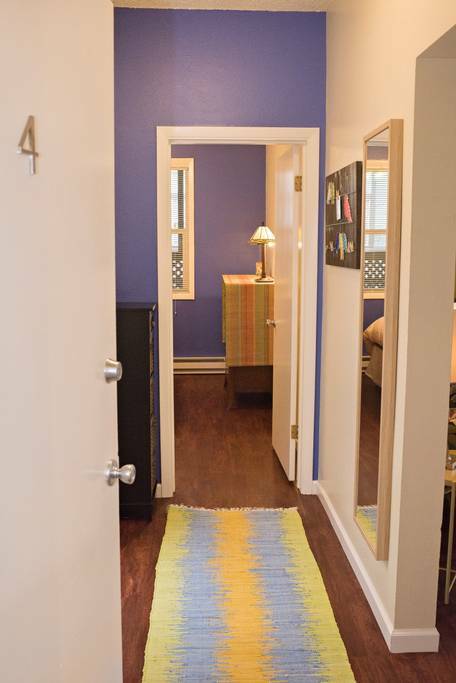 Bright and well appointed one bedroom apartment in vintage 1906 NW Portland apartment building. Accommodates up to four people with QUEEN bed in the bedroom and QUEEN air mattress that comfortably fits in the spacious living room. 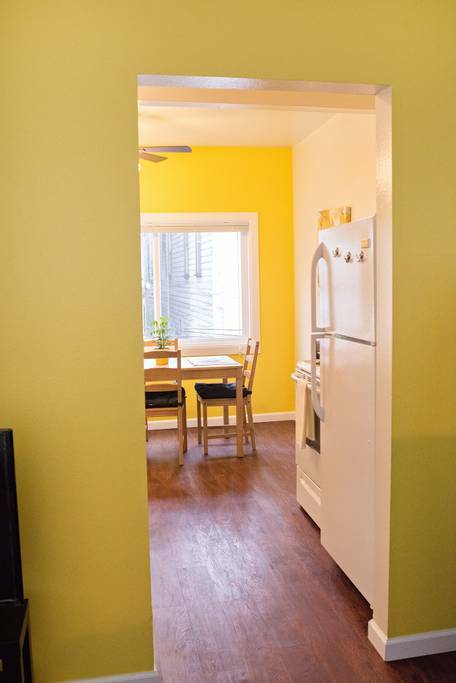 Full kitchen with dining area suitable for four. Bright bathroom with brilliant natural light. This unit is on the second floor, tucked in the back of the building with little urban noise. 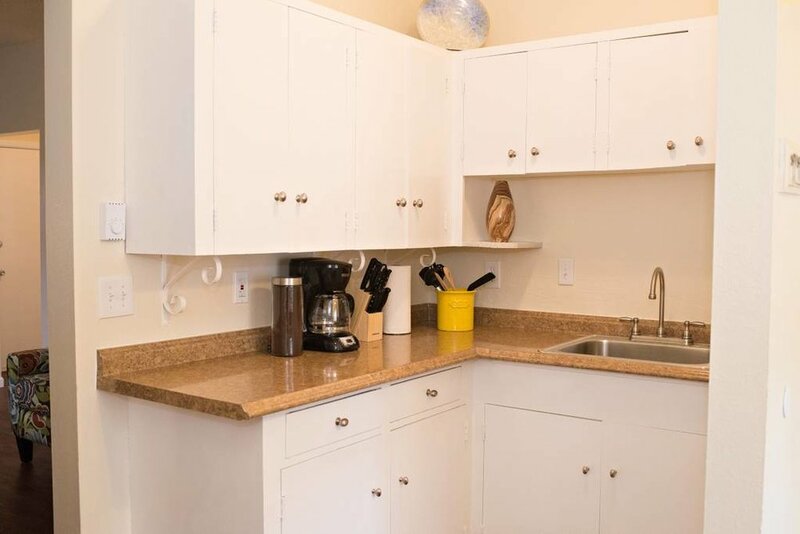 The apartments come equipped with dishes, pots, pans, utensils, silverware, glassware, coffee pot, toaster, microwave, basic spices, etc. Our bathrooms are fully stocked with towels, washcloths, hair dryers, body wash, shampoo and conditioner. 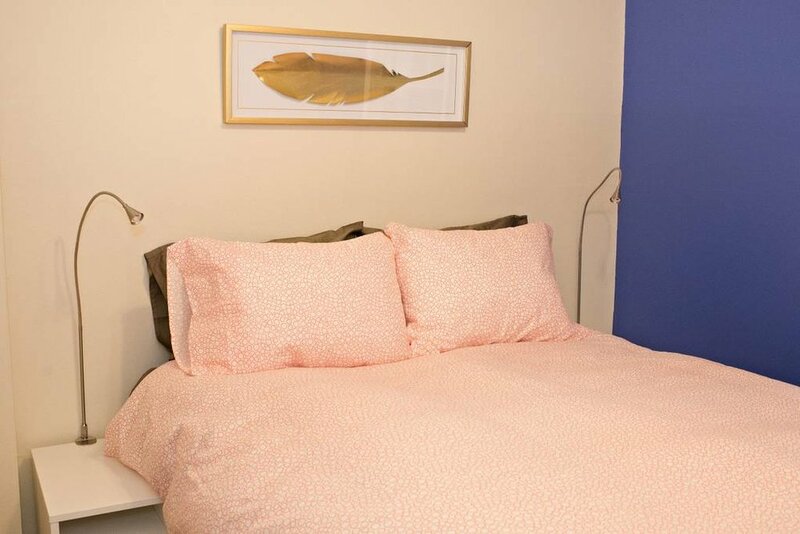 Fresh clean linens, pillows and comforters are provided for each bed. We stock our rentals with an initial supply of items such as toilet paper, paper towels, hand soap and dish soap. For most guests, the initial supply is enough however, we have found it helpful for some to bring extra. Child friendly equipment is also available in each apartment including high chair, dishes, cups and a pack and play portable crib. Free wifi comes standard and free laundry facilities are on site. Portland is a magnificent city and the Nest is a fabulous place to call home while you experience it all. Come see for yourself!